Sofia Cashmere rib-knit trapper hat. Ear covers with hanging corkscrew knit detail. Pompoms at crown and tassel ends. With over 60 years in the industry, Sofia Cashmere uses the finest cashmere yarns to create a comfortable feel. Featuring classic capes, shawls, and scarves, the luxurious collection is designed using the long, soft fibers to resist pilling, resulting in a long product life. For in-store inquiries, use sku #2378052. 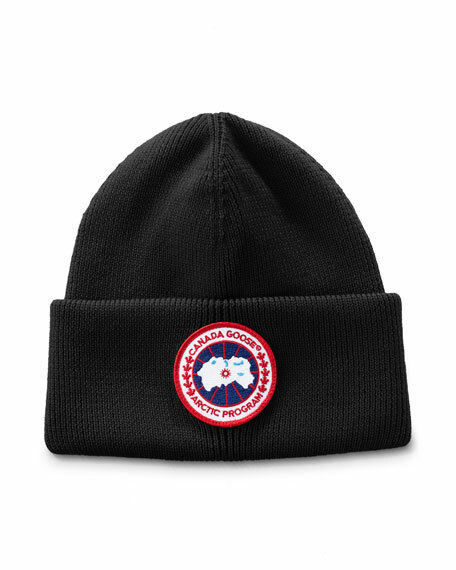 Canada Goose "Arctic Disc Toque" knit cap is double layered for maximum warmth. Signature logo patch at front. Fold-over cuff. Merino wool. Approx. 9.5"H x 8.5"W. Imported of Italian materials. Charlotte Simone knit beanie hat. Dyed fox (China) fur mohawk. 9.4"W x 11.8"T. 1.57"L trim. Ribbed cuff. Cashmere. Imported. 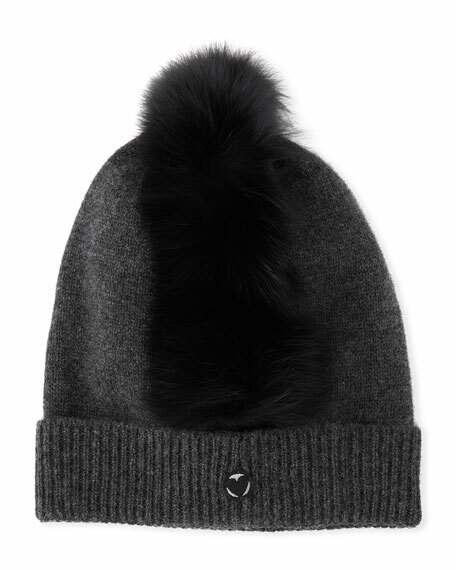 Dsquared2 rib-knit beanie hat. 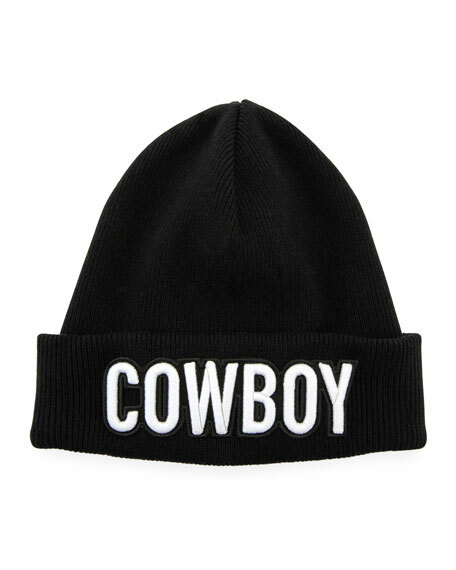 Fold-over crown; typographic "Cowboy" patch at front. Close-fitting silhouette. Wool; polyester trim. Made in Italy. 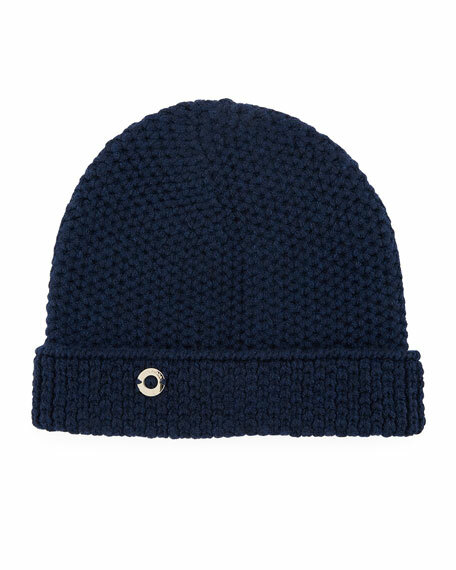 Loro Piana chain knit cashmere beanie. Folded cuff keeps hat in place. Golden logo charm at band. Made in Italy.